•Convenient Transportation included from many areas in the USA & Canada. Campers are also met at the Toronto & Buffalo Airports and transported to the Boy’s Fishing Camp. •Campers from many parts of the USA, Canada & many other countries have attended our Boy’s Summer Fishing Camps. Here are just some of the states, provinces & countries that our campers have come from to attend our camps through the years; Ontario, Virginia, Maryland, Pennsylvania, New York, New Jersey, Connecticut, Massachusetts, Maine, Georgia, North Carolina, Florida, Texas, Ohio, Michigan, Wisconsin, Illinois, Iowa, Missouri, California, New Mexico, Alabama, Minnesota, Kentucky, New Hampshire, Belgium, Italy, France, UK, Switzerland, Germany, Venezuela, Mexico, BVI, China, Kuwait. We welcome campers from any state, province or country! 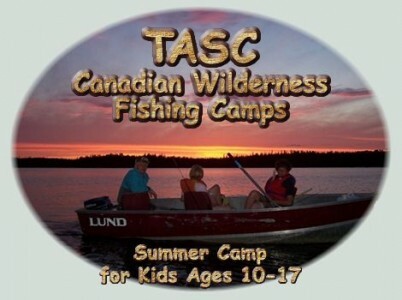 •If you’d like a summer fishing camp in a wilderness paradise, this is the camp for you! It’s not too early to start planning your Ski & Snowboard Trip for this winter. Just contact us, so we can start planning your next trip. We’ll organize the best possible trip for you! Hope to see you on the slopes this winter!! 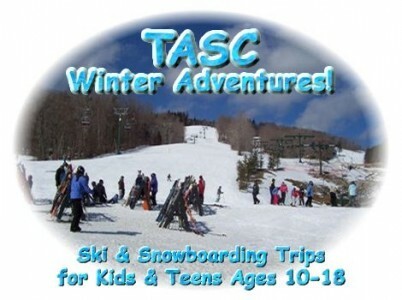 •Most TASC Ski & Snowboard Trips are to mid-Atlantic & Northeastern ski areas such as Whitetail, PA, Seven Springs, PA, Killington, VT & other mountains.